Any serious whitetail hunter spends some time glassing fields on late summer evenings, admiring the whitetails that are so visible at that time of the year. They are actually quite easy to pattern because their movements are so predictable. Excitement builds because the opening day of bow season is a short time away. So why is it that so few of those mature bucks are actually taken by bowhunters in the first few days of the early archery seasons? I believe there are four primary mistakes many bowhunters make which ruin their chances of bagging one of those bucks during the early fall. Let’s take a look at these so you don’t make the same mistakes. Summer days are long, especially in the northern half of the US. 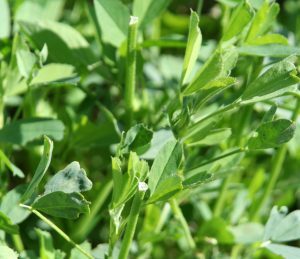 It’s common to be seeing whitetails in the hayfields or soybeans in broad daylight at 8:30 or 9:00 in the evening. What many hunters do not realize is that the daylight hours are getting shorter by 4-5 minutes per day. That’s nearly a half hour per week. Of course, half of that time is in the evening, so every week the sun is going down 15 minutes earlier. A lot of hunters interpret deer movement in early fall as “starting to go nocturnal” when in reality, the deer are coming out at the same time; it’s just getting dark earlier. Yup that deer that was standing in the last rays of sunlight at 8:30, is three weeks later standing in full darkness at the same exact time. Failing to take this into account can cost you a chance at a big buck, which leads us to mistake number two. Too many hunters set up on the edge of the field expecting to get a shot at the bucks they saw a few weeks ago. In reality, those bucks aren’t likely to appear in the field during daylight. 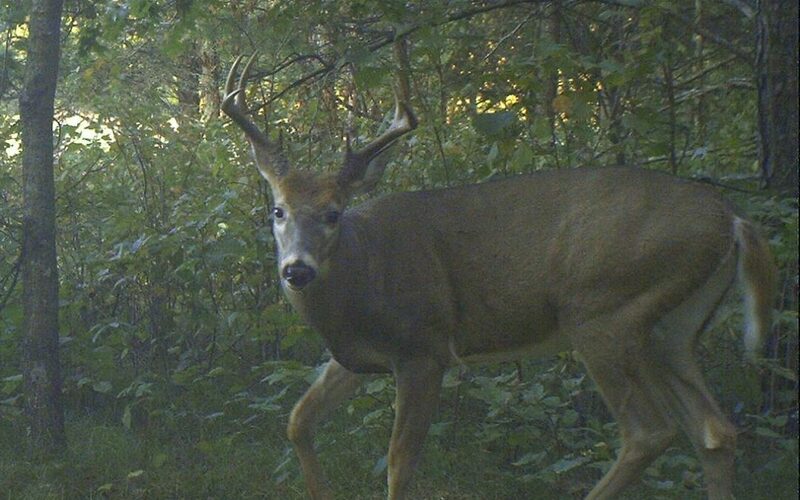 Not only is it getting dark sooner, but as the velvet comes off, the buck’s disposition begins to change. He’s becoming more cautious about showing himself, and he begins to hang up back in the woods for a while before cautiously moving out into the open field. If your treestand is right at the edge of the field, you may not encounter him until it’s too dark to make a safe and ethical shot. By moving your ambush point back 50 yards from the field, you have a much better chance of getting a shot with enough daylight to see your sight pins. Follow the entry trail a ways back and look for sign: droppings, rubs, tracks milling about, and nibbled plants. These are indicators of the area where the bucks are biding their time before making a move. Here’s where your stand belongs. Many a buck has escaped with his life because a hunter didn’t trim one little branch. In the early season there are lots of leaves on the trees and shrubbery or other vegetation at ground level can mess up your shot or prohibit you from getting a shot at all. Be ruthless with your lane-cutting. Deer are not at all alarmed by limbs and cuttings lying on the ground, so trim away. Try to have at least 3-4 good, clear shooting lanes. 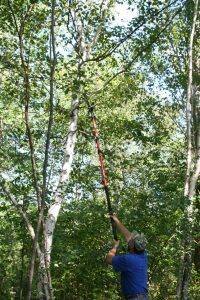 Use a long pole saw to trim high branches and a clipper to nip saplings and large weeds along the ground. Wear gloves, boots and of course long pants to limit human scent left in the area. Try to do it at least a week before the season opens. Now you have a stand in position, the bucks are in a predictable pattern and you can’t wait to get in there and get it done. But wait! You may only get one chance and here is where most hunters blow it. Opening day arrives and the wind is not quite right but it’s the perfect setup. What difference can a little issue with wind direction hurt right? After all you are using good scent control and have the latest sprays and scent-control clothing. An overly optimistic reliance on scent control has saved the lives of a lot of deer. No matter what the marketers would like you to believe, there is no such thing as scent elimination, only scent reduction. Reduce the temptation to hunt the stand until the conditions are perfect! You may only get one chance at this program that you have been working on for weeks. Do not make your move until the time is right and then go get it done. You will be glad you waited. I promise. That is the voice of experience speaking. Get your binoculars out and go find a nice buck. If you can avoid these four mistakes, your chance of giving him a ride in your pickup just went way up!